Japan offers some of the best ski resorts in the world and a Japan ski holiday is a popular option for many Australians and overseas visitors. 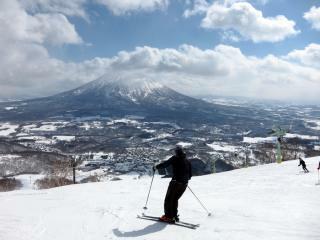 On any skiing holiday, it is recommended that you stay at one of the resorts on the ski fields for ease of access, however not all Japan ski accommodation is close to the slopes and with so much to see and do within the area, it can also be useful to stay somewhere that is more centrally located. Regardless of where you choose to visit, there is an excellent range of ski accommodation in Japan, particularly at some of the more popular resorts. Another of the more popular snow resorts and ski accommodation in Japan, Hakuba offers an extensive selection of hotels, self-contained cottages, family-run lodges and traditional pensiones. 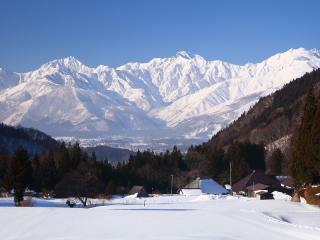 Offering a total of 9 ski resorts, Hakuba accommodation is located in the Wadano village at the base of Happo-One Mountains. Most of the large hotels offer hot spring baths and a great range of restaurants as well as shuttle services that deliver you from your resort to the slopes. First time visitors are recommended to stay at one of the larger hotels or resorts as there is much to explore other than the ski slopes and the knowledge and assistance provided by hotel staff will be invaluable. Japan ski accommodation in Niseko offers an excellent range of traditional lodges, family owned pensiones, hotels and luxury apartments offering both Western style and traditional Japanese bedding. A wide range of the ski accommodation in Japan’s Niseko is located just a short walk from the ski lifts, as well as offering the convenience of a shuttle bus service that will have you at the ski lift in just 3 minutes. Close to the village and all its services, Niseko is one of the most visited Japan ski accommodation and is particularly English friendly.